SB 420, a legislative statute, went into effect on January 1, 2004 as California H&SC 11362.7-.83. This law broadens Prop. 215 to transportation and other offenses in certain circumstances; allows patients to form medical cultivation “collectives” or “cooperatives”; and establishes a voluntary state ID card system run through county health departments. SB 420 also establishes guidelines or limits as to how much patients can possess and cultivate. Legal patients who stay within the guidelines are supposed to be protected from arrest. Prop. 215 explicitly covers marijuana possession and cultivation (H&SC 11357 and 11358) for personal medical use. Hashish and concentrated cannabis, including edibles, (HSC 11357a) are also included. Transportation (HSC 11360) has also been allowed by the courts. Within the context of a bona fide collective or caregiver relationship, SB 420 provides protection against charges for possession for sale (11359); transportation, sale, giving away, furnishing, etc. (11360); providing or leasing a place for distribution of a controlled substance (11366.5, 11570). Prop. 215 lists “cancer, anorexia, AIDS, chronic pain, spasticity, glaucoma, arthritis, migraine, or any other illness for which marijuana provides relief”. Physicians have recommended marijuana for hundreds of indications, including such common complaints as insomnia, PMS, post-traumatic stress, depression, and substance abuse. As an alternative, SB 420 allows patients to grow together in non-profit “collectives” or cooperatives. Collectives may scale the SB 420 limits to the number of members, but large gardens are always suspect to law enforcement. In particular, grows over 100 plants risk five-year mandatory minimum sentences under federal law. Many local governments have moved to ban or sharply restrict the right of patients to grow collectively. Policy varies greatly around the state (see local limits below.). Under Prop. 215, patients are entitled to whatever amount of marijuana is necessary for their personal medical use. However, patients are likely to be arrested if they exceed the SB 420 guidelines. SB 420 sets a baseline statewide guideline of 6 mature or 12 immature plants, and 1/2 pound (8 oz.) processed cannabis per patient. Individual cities and counties are allowed to enact higher, but not lower, limits than the state standard. (See local limits below). Patients can be exempted from the limits if their physician specifically states that they need more for their own personal use; but beware of physicians offering “cultivation” licenses for large amounts. In a state Supreme Court ruling, People v. Kelly (2010), the court held that patients can NOT be prosecuted simply for exceeding the SB 420 limits; however, they can be arrested and forced to defend themselves as having had an amount consistent with their personal medical needs. Patients can be exempted from the limits if their physician specifically states that they need more; but beware of physicians who charge extra for “cultivation” licenses for large numbers of plants. The validity of recommendations for specific plant numbers is doubtful. Under the U.S. Controlled Substances Act, possession of any marijuana is a misdemeanor and cultivation is a felony. 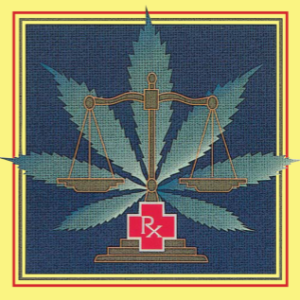 A Supreme Court ruling, Gonzalez v Raich (June 2005), rejected a constitutional challenge by two patients who argued that their personal medical use cultivation should be exempt from federal law because it did not affect interstate commerce. Despite this, federal officials have stated that they will not go after individual patients. SHOULD I GET A MEDICAL MARIJUANA IDENTIFICATION CARD? Patients are not required to get an ID card to enjoy the protection of Prop. 215, but a state card can provide an extra measure of protection against arrest. Patients and caregivers can obtain state ID cards through the health departments of the county where they live (except Sutter and Colusa). The state ID card system has safeguards to protect patient privacy. Police and employers cannot track down patients through the registry. Even though Prop. 215 doesn’t explicitly legalize sales, hundreds of collectives are presently providing marijuana to patients in accordance with SB 420 and the A.G.’s guidelines. 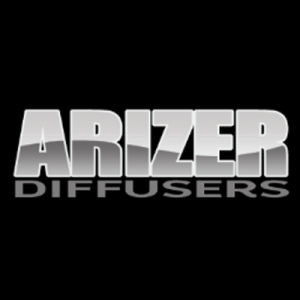 Find dispensaries and delivery services by zip code or city . Although Prop. 215 allows patients to grow their own medicine, landlords are not legally obliged to allow it. Many cities and counties have passed zoning ordinances that restrict where patients can grow, in some cases outlawing outdoor cultivation altogether. See local policies. Patients under 18 must have parental consent. (A) To ensure that seriously ill Californians have the right to obtain and use marijuana for medical purposes where the medical use is deemed appropriate and has been recommended by a physician who has determined that the person’s health would benefit from the use of marijuana in the treatment of cancer, anorexia, AIDS, chronic pain, spasticity, glaucoma, arthritis, migraine, or any other illness for which marijuana provides relief. (2) Nothing in this Act shall be construed to supersede legislation prohibiting persons from engaging in conduct that endangers others, nor to condone the diversion of marijuana for nonmedical purposes. (c) Notwithstanding any other provision of law, no physician in this state shall be punished, or denied any rights or privilege, for having recommended marijuana to a patient for medical purposes. (d) Section 11357, relating to the possession of marijuana, and Section 11358, relating to the cultivation of marijuana, shall not apply to a patient, or to the patient’s primary caregiver, who possesses or cultivates marijuana for the personal medical purposes of the patient upon the written or oral recommendation or approval of a physician. (e) For the purposes of this section, “primary caregiver” means the individual designated by the person exempted under this act who has consistently assumed responsibility for the housing, health, or safety of that person.